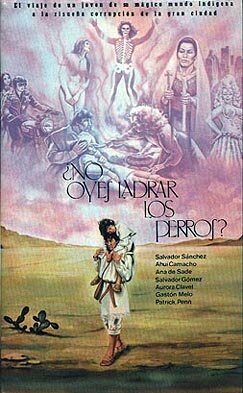 Vangelis Collector - Movies - ¿No Oyes Ladrar los Perros? I was really happy to find this video. What a sad, depressing film! I know this world is evil, and this film gets that point across in a very difficult fashion. As for the score, there is nothing here that is not on the soundtrack, other than a snippet of music from the "Earth" album. The first pressing of this video is now out-of-print. If you want to buy a copy of the second pressing of the video, then I suggest you click here (current as of August 8, 2002) and order one before it is too late!